Over the years Apple has vastly improved the stabilization of the camera on the iPhone. Most modern iPhones come with optical stabilization which assists with the production of super-steady video. It is, however, just a phone. There have been a multitude of phone stabilizers hitting the market over the last few years but many fall short in regards to adding functionality beyond what the iPhone can do on it’s own. This is where Freefly shines with their Movi Gimbal for the iPhone. This gimbal adds functionality and makes the iPhone an even more amazing video production tool than it already is. Check out the video review of the Freefly Movi. Hey what’s up, it’s Jared with State Of Tech and today we’re going to take a look at the MOVI from Freefly Systems. 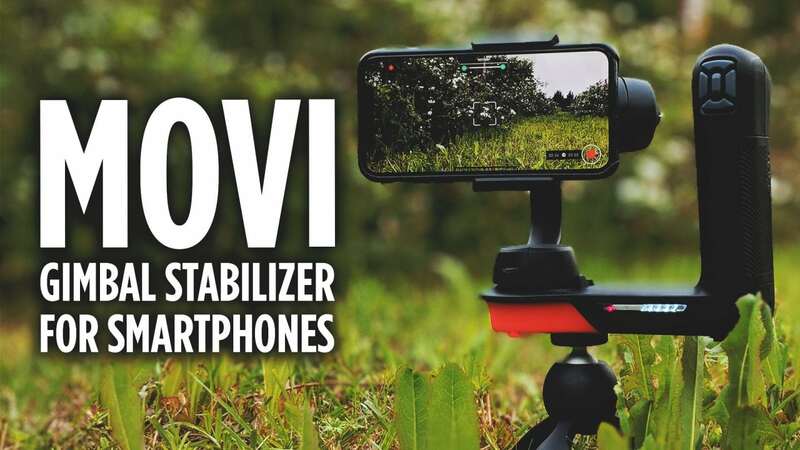 Now they have other camera gimbals named the MOVI specifically for bigger cameras like the M5, the MOVI Pro, but this is the MOVI which is the smartphone gimbal that they came out with. It comes with this cool little case here that you can store it in, so pops right in there, very simple, but what’s unique about this is that it adds some really amazing stabilization and some cool tricks to your iPhone. Now this currently does not work with Android devices. I reached out to them. They said they have no plans to develop an Android app which is a real bummer to me that that’s the case. I really hope that they do decide to do that because I’m constantly switching between phones and being stuck on the iPhone is not necessarily where I want to be. Anyways, this device I have it powered up right now, but let’s go ahead and power it down, and I’ll put it into storage mode I guess you’d call it. Storage mode is like this. It’s locked into position. There’s a little lock here. This one doesn’t have a lock, but you basically rotate it and put it in the box just like that. To get it set up to shoot, you just simply pop it out of that mode. You squeeze the little grip here, put your phone in and just quickly balance it. It needs to be balanced so that the motors aren’t working against themselves, that the motors have the best chance of keeping the phone centered here without using too much power. It does charge via USBC which is awesome. It comes with a cable. Of course if you have other devices or USBC, you can just charge it with that. I’m going to go ahead and launch the MOVI app. The MOVI app is what you’re going to be filming and controlling the gimbal in, and I’ll go ahead and hit the power button and it’s going to power up. This works really great. It adds a ton of stabilization and a bunch of features for doing some cool things with your smartphone. It launches in majestic mode or majestic mode is the standard mode that you would use for following some action, maybe your doing a walking scene or running or something like that. This grip right here, the red grip is for you to grip your fingers around, and then you have this hand trigger here which allows you to start and stop recording. This button here by default allows you to lock roll on or off or whichever option you have selected. You can of course control that. Another thing that you can control is the exposure lock, so there’s a D-pad right here and I can tap here and unlock exposure or lock it, and then actually increase or decrease exposure. Let me actually show you this on the camera above here, so locked, that’s unlocked. I can lock it and then increase my exposure or decrease my exposure which this is huge right here because how many times if you may be gone from an inside scene to an outside scene and you just end up using auto, leaving it an auto to control it and do it on its own, which if you were not using auto and you were doing it like this, you can have more control over your scene which I think is great. Then by default if you hit the right here, it flips you around to the front-facing camera and the left button here takes you into your previously recorded video clips. The idea here is that you steer the camera around in majestic mode. You can point it down. You could point it up. Majestic mode follows your movement. You guide the camera where it wants to go, and so you have to be thinking ahead a little bit as you’re deciding to follow and film something. You have to make nice smooth movements with the gimbal to get those amazing smooth camera shots, but it’s going to make it so much easier because it gives you something to hold on to. It gives you additional stabilization over what the phone already has in it, and so your shots are just going to be insanely smooth. Beyond just majestic mode, it also has echo mode. I can set my point, so I’m going to go ahead and reset. I’m going to set A to over here I’m going to set B to over here, and then it goes into position. I’m going to set the duration for like 15 seconds, so you can see it go really fast, and then I can hit start and it’s going to countdown. I’ve got to hit the record as well and you can see it’s doing like a pan motion all on its own. I’m not touching it at all. It’s doing a nice little pan motion, so I can get one of those really cool shots like a panoramic type of video shot without any type of movement. This even has a quarter twenty tripod mount in the bottom, so you could attach it to something, tripod or like a gorilla pod or something I’ve got. Some links down in the description below for you, some additional things that you can use with this just to get some amazing shots. I think that that’s amazing. Then of course I can tap back to A. It goes right back to the A position and it’s ready to go again. Now I’m back in majestic mode. Another one is movie lapse. Movie lapse is like hyperlapse if you’ve ever done a hyperlapse with the Hyperlapse Instagram app. It’s where you basically move slowly while hyperlapse is recording and it makes everything else look like it’s super fast around you, which is a cool effect. They call it movie lapse in here. The best way to use movie lapse is to put it in movie lapse mode and hit record and walk super slow while a bunch of other things are moving in normal, like a normal speed. I’m showing you an example. This is something that I filmed at a conference a couple weeks ago. I walked through the conference expo hall super slow. It was like awkward people, we’re looking at me like why is he walking so slow holding that thing. Then when you speed it up, we speed it up to the point like of where it looks like I’m walking normal, but everybody else is walking like super fast. It’s a cool effect that you see in some movies and it’s a neat feature that you can do super easy here. There’s also time-lapse mode, so you set an in and an out point, so I can go ahead and position my camera wherever I want it. I could position my camera there, and then go and move to B position my camera, and then I go and set the duration. I can set the target clip length, how long I want that clip to be the time compression, and they gives me the shooting duration how long that’s going to take. Say we just want to make this like three seconds long. I’ll adjust the compression and I will just leave it at 15% time compression, so that’s a 45-second video. I’ll hit okay. I’m going to go ahead and hit start, and then I can hit the record button as well. It’s now making a time lapse for me. It’s not taking a bunch of pictures. It’s making the whole time-lapse and everything for me in 4K, so it’s going really fast here as you can see. It’s going to take a total of 45 seconds. It’s going to end up giving me what did I say a 2-second time lapse. You would want to of course make longer time lapses with slower movements where the head here was moving just really slowly and maybe like it took you 15 minutes to record the time lapse, but you end up getting like a good 30- or 45-second or whatever that equates to. It will tell you here For example, like if I cancel this. Let’s see if I wanted to do a 30-second time lapse. A 30-second time lapse, 30-second time lapse is going to take me seven minutes and 30 seconds. Not too bad considering it’s actually going to make a really cool-looking video, and then you can share that anywhere social media or whatever. What’s great is it’s actually saving all these things right to your phone, so they’re ready to share in social media. We also have orbit mode, which is a cool mode that allows you to like orbit around somebody or an object. You film and this thing stays focused on that object or person or subject or whatever, and you orbit around them and so it makes it really easy for you to get these cool like orbiting shots. Barrel roll is cool. You could like go in and film, and then it just like rolls the camera, so that’s neat. You just want to make sure that you stop because for whatever reason and I don’t know if it’s maybe a firmware issue, like the camera will just roll right in to the gimbal itself and it’ll start to click and act all weird. You want to make sure you stop the roll. I don’t know if maybe they’re going to fix that in a future update or whatnot, and then they also have this option called smart pod, which simply is just added features for tripod type shots. Of course as I move the camera around, it’s acting like I am on a tripod. I mean I can move this around a lot, but you can see the camera stays pointed at what it’s at. Say you don’t have a tripod and you want to film something and like you can’t really hold like perfectly still, if you are in majestic mode and you are moving this a little bit, it would be moving the camera around a bit, but this tripod or the smart pod mode here keeps the shot like you’re on a tripod as best as possible without actually having a tripod, so a cool feature. There’s lots of other little things that you can do in here, adjusting the responsiveness. There’s lots of options for majestic and time echo and time-lapse modes. I mean there’s a lot of more things that you can do here, but I just wanted to showcase what they’ve done. I think what they did was jump pretty far ahead of the other smartphone gimbal manufacturers by giving you a much more visual way to look at these features, an easier way to adjust and maneuver. I love the like the time-lapse type of features and whatnot where I could just set the phone down and get some cool shots. When I was on vacation last month with my wife, I was playing with that mode, just trying to get these cool shots, and it was super easy to get those shots and people would think you had some big crazy equipment in order to pull that off, not so much with this nice little camera here. I’ve got some links for you down in the description below, so you could check this out, so you can get more information. Some of the accessories that I like to use with it, I’ve also included below just for your information, so make sure to check those out. If you liked this video, give it a thumbs up. If you want to learn more about how to use this, you’ll want to head on over to our Ditch Auto Channel. I’m going to be putting a video up there that talks a little bit more about actually using this to make some cool shots. 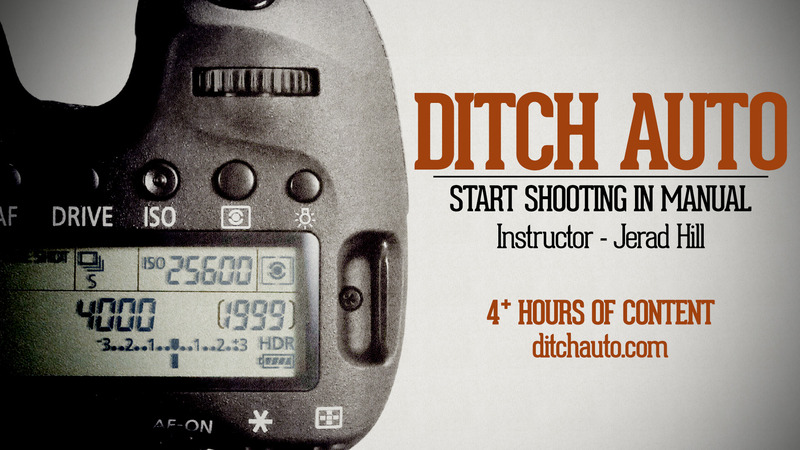 I’m going to talk less about the product itself and talk more about how to use it to get some cool shots, so make sure to check out that link in the description below to head on over to our Ditch Auto YouTube, which is more about shooting photos and videos and all that cool stuff. Thanks so much. I hope you click the subscribe button, so you could be notified when we put out more videos, and I hope to see you back here soon. This is a near perfect filmmaking tool deserving of a near perfect score if they just supported Android phones as well.